Coding Hub is a Nearshore Software Outsourcing company based in San Jose, Costa Rica, just a few hours from the main cities in the US. We offer the knowledge, expertise, and flexibility, normally associated with first level domestic providers in the US, but with the cost advantage of an offshore location. It does not matter if this is your first experience with outsourcing, or if you are highly experienced with the business model. Either you have had a “painful” experience in the past, or you just want to diversify the risk with a partner that is closer to you; our main focus is to provide the an exceptional experience by mixing the benefits of a near-shore model from Costa Rica, proven agile frameworks and best practices and technologies, an excellent service and quality, and the best talent available. Our experience in nearshore outsourcing services is extensive, delivering successful and challenging projects, using multiple technologies, helping our clients to reduce their time to market, costs, and providing them with the opportunity to focus on their core business activities while we take care of the technological aspects, working together as one team. We implement solutions covering all the stages of the software development cycle (project planning and monitoring, identification and management of requirements and impact on the processes, software construction, testing planning and execution, training planning and execution, solution implementation). We use best practices in software development and we make sure the whole development process is transparent, with frequent deliveries and reviews. These projects are characterized for working under flexible work plans managed jointly by the team leader. We have technical teams, specialized in different technologies, which can implement enhancements or corrective maintenance on production systems. Our work teams include some of these profiles: project managers, software architects, developers, functional consultants, testers and user interface designers. Clients are always part of these teams, in either a full time or part time basis. We exploit the potential of mobile devices with our mobile solutions. We improve the efficiency of different organizations by facilitating the execution of tasks that, with today’s technology, can be performed without the need for a PC. 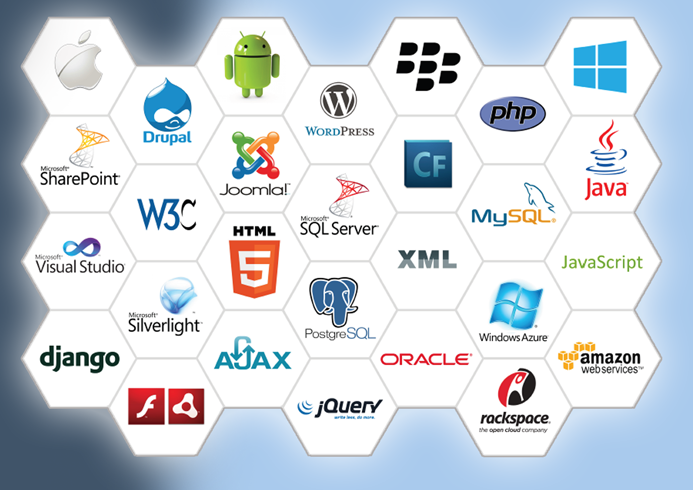 We are experts at building innovative software based on .NET platform. We design our software based on a flexible and robust architecture capable of supporting changes and modifications demanded by users. We specialize in the development of business solutions based on the Java platform and have a long history of building and integrating applications in every framework and available application server. Web application development is the creation of browser-based applications hosted and delivered via the Cloud. Demand is high and supply is short for developers with the skill and experience in web application development. Software development is rapidly evolving from PC-centric and desktop-driven, to mobile app development for devices such as tablets and smartphones. Mobile apps are in demand, and can be a great experience for your customers. Outsourcing software QA has become a strategic approach for a number of successful companies. We are experts on Automation tools and QA best practices, developing a core competency in software quality assurance and test services. We study the issues that concern the business: goals, assets, values, activity and interactions with client to detect what UX & Usability bottlenecks are affecting the system performance. In a rapidly changing world we help our clients to stay ahead and achieve long-term success responding with innovation and agility. We specialize in creating and con-managing nearshore agile teams, which work in full daily collaboration with your onsite team. We Focus on providing the best talent, communication and a structured process and team, working under agile methodologies, to ensure the success of your project by reducing operational costs and improving technical expertise and bandwidth, allowing clients to focus on execution rather than people management and infrastructure.